If you are worried about the state of your finances, particularly your debt, then it is time to stop borrowing. Credit cards, store cards, even things like catalogs and furniture financing can all lead to big debts that could take you months or even years to pay. Stop borrowing so that you can start looking at reducing the debt that you need to pay back. Write down every penny you owe on a piece of paper. Writing down the exact amount of money you owe will help you gain a sense of control because you’ll be able to focus and plan how much of the debt you can pay off every month. There is a good chance that you are going to want beautiful handbags, lovely cars and perhaps nice meals out. Everyone wants these things after all. But are these things that you actually need? The truth is, you can live without these things, although they are nice things to have. On the other side, there are some things that you are going to need to have for you and your family to get by. Needs will include, for example, food, water, and electricity. Things that you are going to need to make sure that you have money for every month or week. If you want to get out of debt, then you will have to cut down on your wants. Cutting down on the wants means you will have a bit of money left over to pay off some of your debts. The idea of paying back debt can be daunting, particularly those that are significant amounts. The best way to start out paying back debt is the smallest amounts. Tackling the smallest amount of debt first will take the least time to pay back, meaning that you can then assign even more money to the larger debts, and you will already be used to paying off a set amount every month. If you are trying to battle your debts, then one of the simplest things that you can do is to budget the money that you do have. Being aware of not only what you have coming in, but also what you have coming out is important. Not only can you keep track of your finances, but you may also see some things that you are unnecessarily spending out on and could be cut out from your regular payments. Food is something that you need to budget for every month. And you can look at ways of saving money here too. 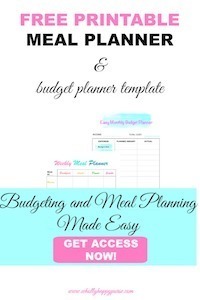 One of the simplest ways to reduce the amount that you spend on food is to plan your meals. You can look at the food that you already have in your fridge, freezer, and pantry. You can also include leftovers that you may have from the night before on your meal planner. Meal planning also stops you from being tempted to go to the shop daily whereby you are much more likely to spend more. You should also try to curb your takeout habit too. These are a real treat and should be treated as such, not something that you do on a regular basis. A sure-fire way to avoiding takeouts that I use is . My crock-pot has saved us so much money! Paying off debt is a lot easier if you have some extra money coming in. But how can you make some money? One way is to take on another job, but you will be pleased to know that this doesn’t mean that you have to be away from home. There are a whole variety of online and virtual roles that are popping up. These include admin assistants, virtual assistants, and even customer services too. All of them pay you extra money which you can then put towards paying off your debt. Separating my wants from my needs is definitely something I need to work on. I’ve noticed as I make more money, I end up getting too comfortable and spend more on my wants rather than things that I actually need. Budgeting is key!